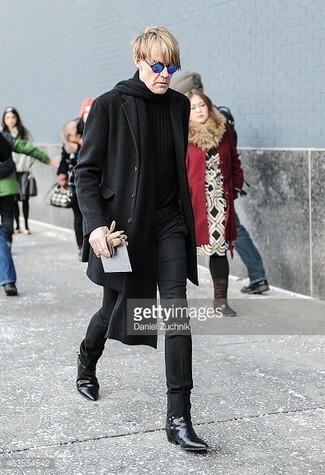 A black suit and a DSQUARED2 maple logo scarf from farfetch.com is a nice combination to add to your casual lineup. 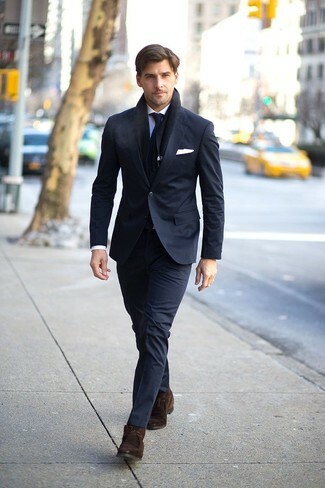 When it comes to shoes, this outfit is finished off wonderfully with dark brown suede desert boots. Wear a black overcoat with a DSQUARED2 maple logo scarf if you're hunting for an outfit idea for when you want to look casually cool. Amp up the cool of your getup by completing it with dark brown leather casual boots. 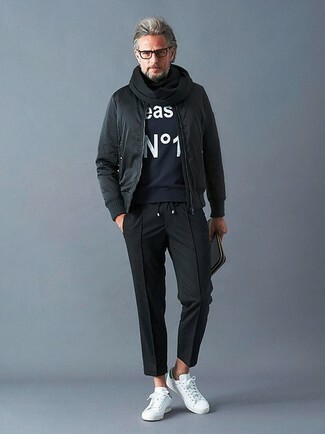 Pair a black duffle coat with a DSQUARED2 maple logo scarf from farfetch.com, if you feel like relaxed dressing without looking like a hobo. 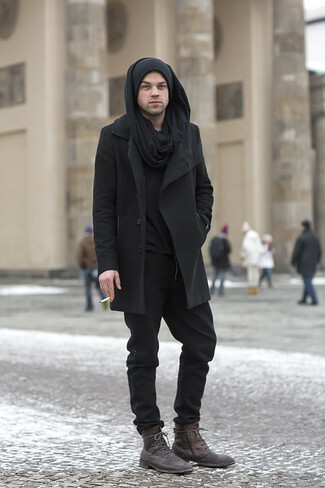 You could perhaps get a little creative in the shoe department and dress up your getup with black low top sneakers. If you're a fan of practicality dressing when it comes to fashion, you'll love this easy combination of a grey overcoat and a DSQUARED2 maple logo scarf. If you're all about relaxed dressing when it comes to fashion, you'll love this simple pairing of a black overcoat and a DSQUARED2 maple logo scarf. Kick up the cool of your ensemble by finishing off with black leather chelsea boots. If you prefer comfort dressing when it comes to your personal style, you'll love this simple combo of a black bomber jacket and a black scarf. Make white leather low top sneakers your footwear choice to take things up a notch. If you prefer functionality dressing when it comes to your personal style, you'll love this simple pairing of a black leather biker jacket and a DSQUARED2 maple logo scarf. 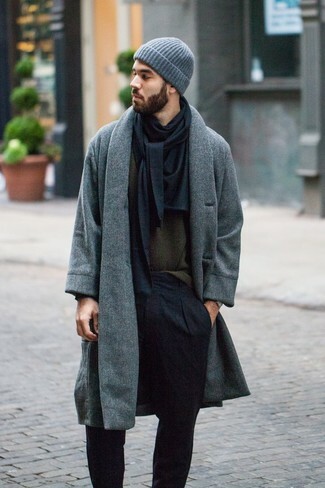 A pair of black leather chelsea boots will add some real flair to this outfit. Pair a camel overcoat with a DSQUARED2 maple logo scarf if you're on a mission for an outfit idea for when you want to look casually cool. Up the cool of your look by finishing off with black leather oxford shoes. We all want comfort when it comes to dressing up, and this combination of a navy blazer and a DSQUARED2 maple logo scarf from farfetch.com is a good illustration of that. Dress up your outfit with beige suede derby shoes.